Labor day weekend in Seattle means only one thing to music fans: Bumbershoot! Each year, crowds pack the Seattle Center to the gills for three days of music, comedy, film, and much, much more in one massive celebration of art, local and otherwise. 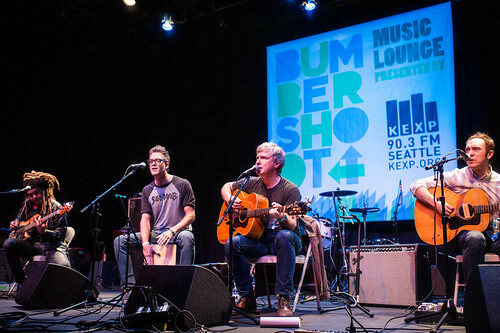 Once again, KEXP brings you closer to the bands you love with the Bumbershoot 2014 KEXP Music Lounge, a collection of exclusive KEXP performances and broadcasts for select audiences throughout the day. Here on the blog, you’ll be able to see photos from each performance throughout the day. 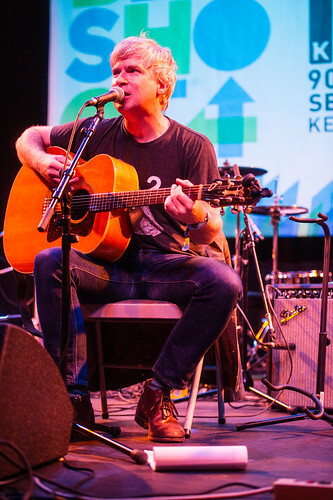 Keep it tuned to KEXP for the best of the Bumbershoot 2014 action! 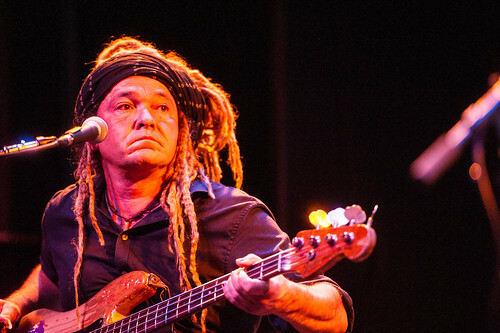 Few bands have the impeccable consistency and timeless charm as that of Brooklyn indie rock band Nada Surf. 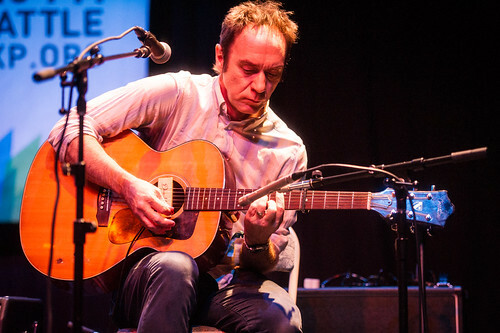 Last year, the band came through Seattle to headline an evening of Barsuk’s 15th Anniverary celebration, playing through their 2002 record Let Go in its entirety. Long time KEXP favorites and Barsuk affiliates, Nada Surf seem to churn out one brilliant album after another as the years go on, the latest – 2012’s The Stars Are Indifferent To Astronomy - being no exception whatsoever. Matthew Caws has a gift for bringing celestial truths down to the surface of the earth for our ears to hear, each song teaching us how to love each other and love ourselves with greater purpose. Here in the Music Lounge, we get to hear them strip down their sound for an even more intimate and impactful connection. 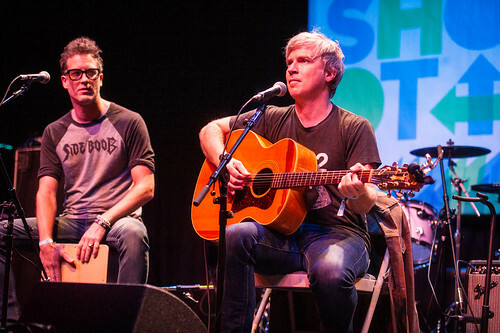 Nada Surf's appearance at Bumbershoot was off-tour cycle, so with no outstanding agenda, the New York quartet delivered a relaxed, intimate acoustic set at the Bumbershoot Music Lounge. Matthew Caws' songwriting is thoughtful, but never overbearingly pensive, so even as he sang songs like "What Is Your Secret?" and "Concrete Bed", he delivered them with cheerful charisma. 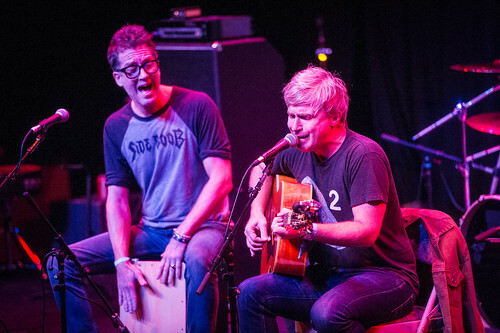 Nada Surf's catalog works just as well in an acoustic setting as it does in an electric one, but the smaller space certainly enhanced the band's arrangements, particularly Ira Elliot's cajon and Doug Gillard's lead parts. 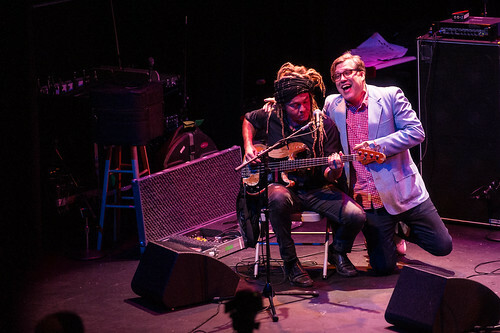 Augmented by backing vocals from all three members, Caws' melodic tendencies were front and center throughout the whole set, but especially when a surprise appearance from The Long Winters' John Roderick injected an unexpected fifth vocal part into two songs. The band thrived in such a relaxed atmosphere, and their performance emphasized that even when they're just meeting up to play on a weekend, the members of Nada Surf have a certain chemistry that allows them to just pick up guitars and shine. Although their electric set later on in the night will certainly be another great showcase of their consistently great catalog, there was a special warmth about the acoustic set that stands as one of the weekend's highlights.